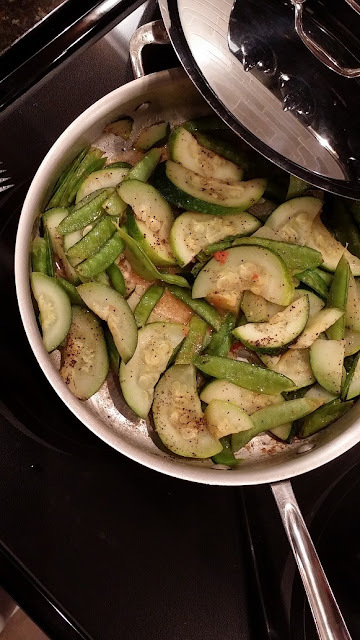 So, with our fingerling potatoes roasting in the oven last night, I went outside and picked the first zucchini of the season with about 2 cups of my Mammoth Melting Sugar snap peas. Tucked under one of my tomato plants I spotted one of the first tomatoes of the season; wonderful! All of this was thrown into a saute pan with some butter, salt, and pepper. It can't get any yummier than this and it's the perfect summer side dish!